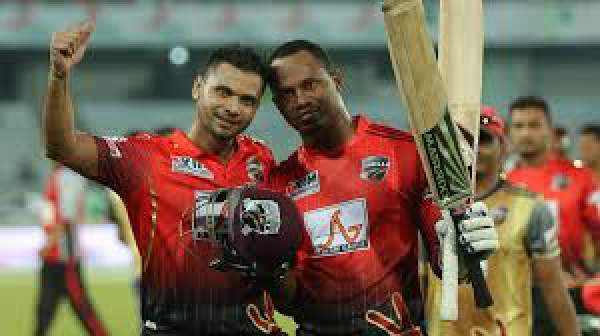 Comilla Victorians will play Chittagong Vikings in the 22nd match of the ongoing Bangladesh Premier League (BPL) 2016 on Monday, November 21. The fixture is set to be played at the Zahur Ahmed Chowdhury Stadium located in Chittagong. The home team, as of now, lies at the bottom of the 2016 BPL points table. They have registered just one victory in six matches. On the other hand, the visitors ranks fifth in the standings with two victories and four defeats from six games this season. They have reached this point by winning their last games. Both the teams have defeated Rajshahi Kings in their respective last fixtures. Afghanistan batsman Mohammad Nabi scored 87 runs off just 37 balls. With his contribution, CV were able to make 190 runs for 5 wickets in 20 overs. While R Kings were able to score just a total of 171 runs for 9 wickets in the second innings of the game. Junaid Siddique and Sabbir Rahman were seen fighting while rest of the players fell easily. Chittagong capitalized on the contributions of T Ahmed who took five wickets in his spell. In another match, Nazmul S Shanto and I Kayes batted well and helped Comilla to post a total of 152/5 on the scoreboard. Shanto and Kayes made 41 and 34 runs respectively. While, R Kings scored only 120 runs with the help of S Tanvir and M Saifuddin. Man of the match Tanvir picked four wickets while the latter one got 3. Comilla team should be happy after opening their winning account this season. The defending champions must keep hope for doing the good work with Tanvir as their trump card. For the opposition, Nabi is the key man as he impresses everyone with both bat and ball. Today’s match is to start at 5:45 pm local time (11:45 am GMT). C Victorians to win: 6/5. India: TV: Sony Six and Sony Six HD. Live Streaming: Sonyliv.